Sachin Tendulkar’s magical 241 at the Sydney Cricket Ground made the Australian public gape at him in awe. Playing in foreign conditions is always challenging for a visiting batsman. For that, he has to adapt to new challenges, adjust himself to the pace and bounce in different conditions, and also acquaint himself with the different types of bowling attacks. In England, a batsman has to adapt to the swinging and seaming conditions, in Australia and South Africa, a batsman has to adapt to the extra pace and bounce, and in the West Indies, the batsman has to adapt to slow and low wickets. Indian batsmen over the years have enthralled and bewitched cricket lovers with their ethereal stroke play. The great Sunil Gavaskar let his mastery shine through against the fearsome four-prone pace attack of the West Indies and scored a magnificent 156 at the Queen’s Park Oval in Port of Spain. 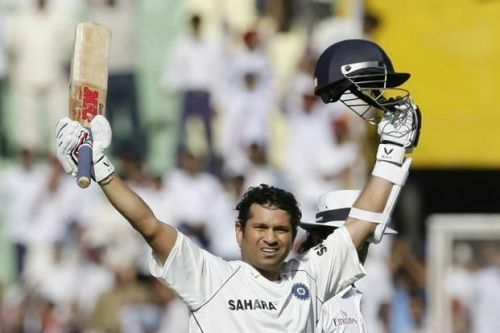 Then, Sachin Tendulkar’s magical 241 at the Sydney Cricket Ground made the Australian public gape at him in awe, Dravid endeared himself to the English crowd with three glorious hundreds on his final tour of England, and Virender Sehwag dazzled and sparkled his way breathtaking 195 at Melbourne. Let us look at 5 Indian batsmen who have scored most runs in Tests outside Asia. Virat Kohli has emerged as the undisputed monarch of modern day cricket. The batting dynamite has been scoring runs at will against every opposition in all conditions. 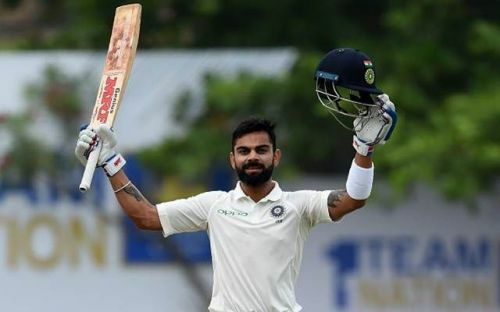 In the 36 tests that Kohli has played outside Asia, he has scored 3100 runs at an average of 47.69 including 12 hundreds. Kohli’s magical 141 against Australia at Adelaide in 2014, when he battled it out against the likes of Mitchell Johnson and Nathan Lyon, will be remembered for a long time for the courage that Kohli displayed and took the attack by the scruff of the neck and played some splendid shots.